Many people use the terms “interior designer” and “interior decorator” interchangeably, however there is a difference. 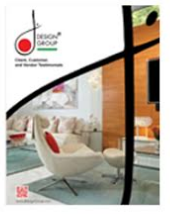 In J Design Group you’ll find experts in both fields: interior design and decoration. Interior designers are knowledgeable about building codes, construction methods, space planning, color selections, remodeling, universal design, decorative finishes, and problem solving among other things. Interior designers might work in the residential or commercial aspect of interiors. Interior decorators are more focused on the aesthetics of a room, such as paint colors, draperies, furniture selections, and accessories. Interior decorators usually work only in the residential aspect of interiors. Please feel free to check out our completed projects, the perfect mix between interior design and decoration.